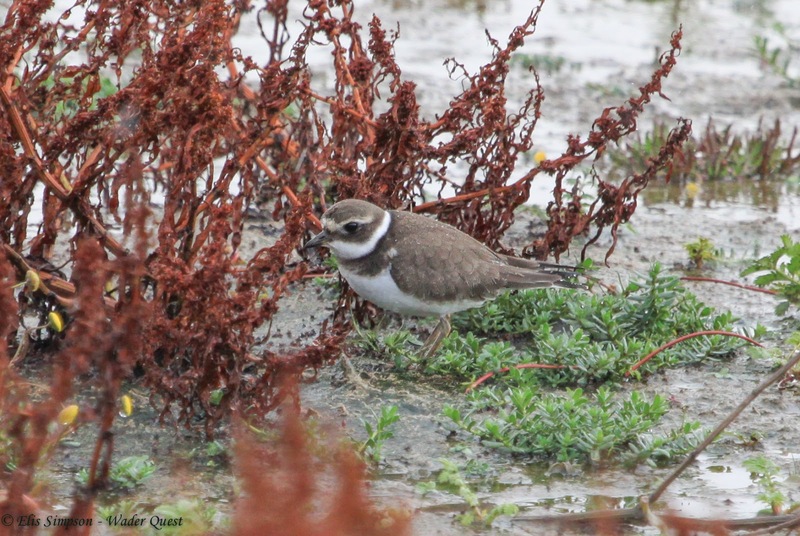 Once again the link between the plovers aka 'rainbirds' and the weather was significant for the 2017 Plover Appreciation Day (a BirdLife Australia initiative) event at Titchwell Marsh RSPB reserve. The day started well enough with Allan Archer being on hand to set up the Wader Quest display in the Parrinder hide. We (Elis and Rick) arrived later, just in time for the rain having driven down from Merseyside where we had stayed following a very successful and enjoyable talk to the Southport RSPB local group the evening before; where we were made to feel very welcome indeed. Wader Quest Plover Appreciation Day display at Titchwell Marsh. 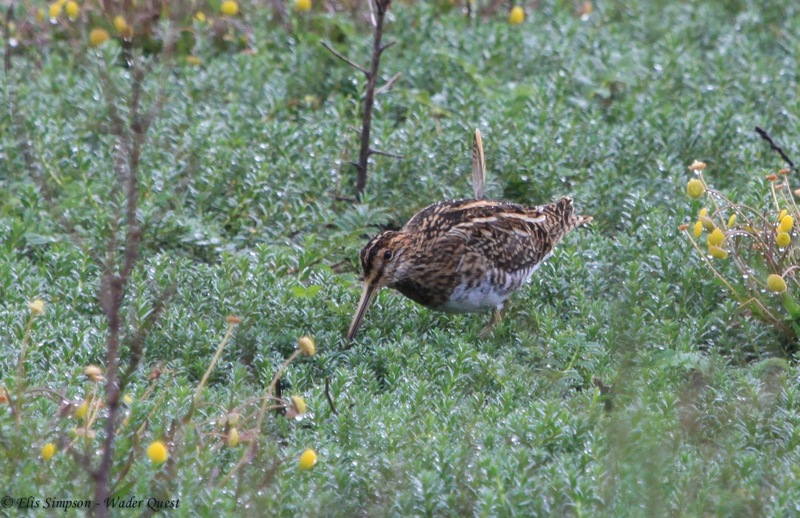 The rain didn't dampen our spirits too much as there was plenty to see as there always is at Titchwell Marsh. On the freshmarsh there were plenty of waders to keep us busy. The most common were the Ruffs which were everywhere you looked. 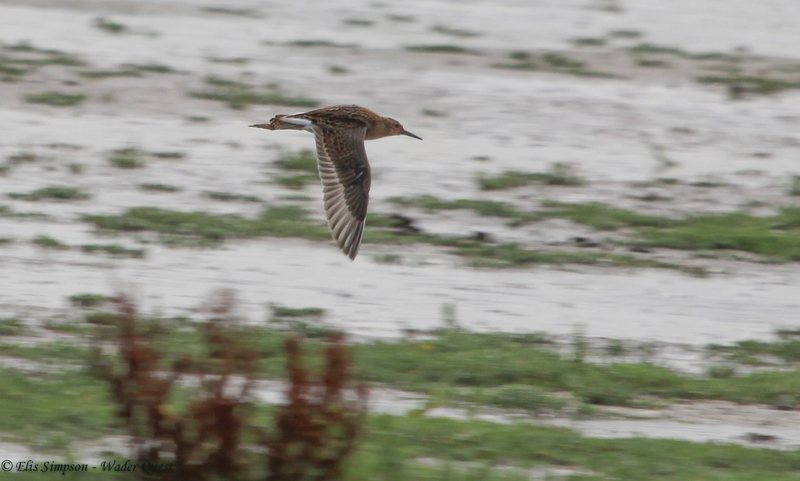 Ruff in flight across the marsh. There were also a good number of Dunlins which showed really well very close to the hide in which we were ensconced. 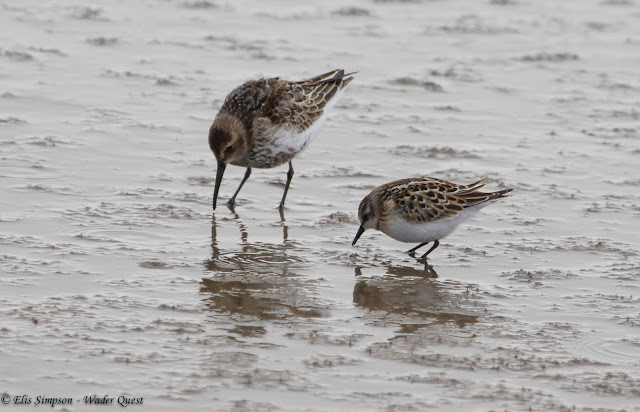 Among them were a few (as many as 10) Little Stints in juvenile plumage and looking very dapper and smart they were too. Dunlin (left) and Little Stint. 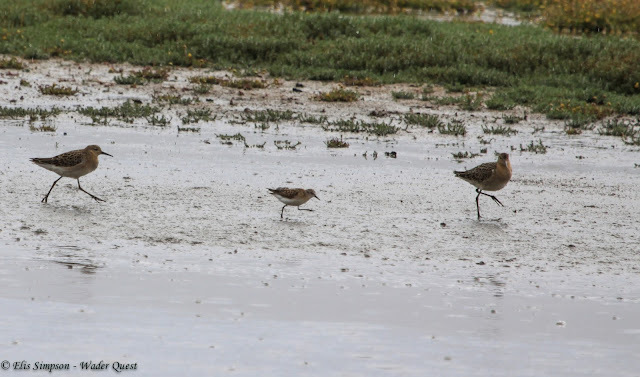 There was also a single Curlew Sandpiper mixing with them for much of the day. 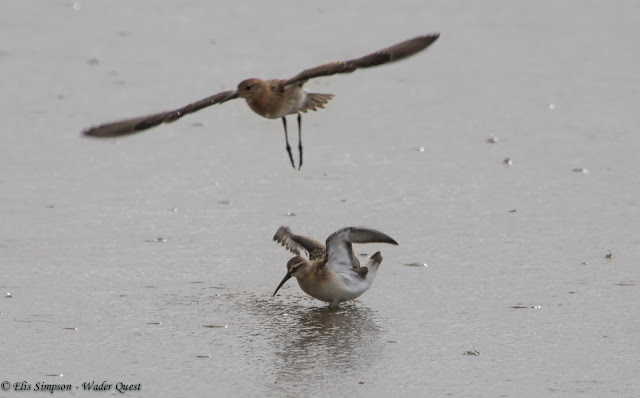 Curlew Sandpiper flinching as a Ruff flies over unexpectedly. Rarity wise the find of the day was the Red-necked Phalarope and a possible sighting of a Pectoral Sandpiper as well as a Purple Sandpiper on the mud. None of these were visible from the Parrinder hide except occasionally the phalarope that would venture out onto our side of the reeds, but it remained distant. 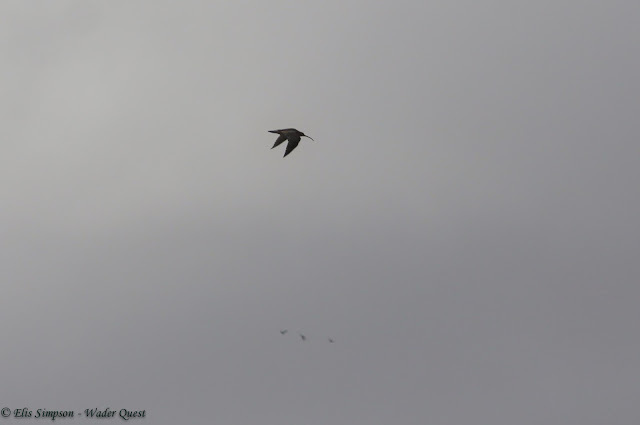 Eyes left looking for the phalarope that just dropped in. So, what about the reason for us being there; the plovers? 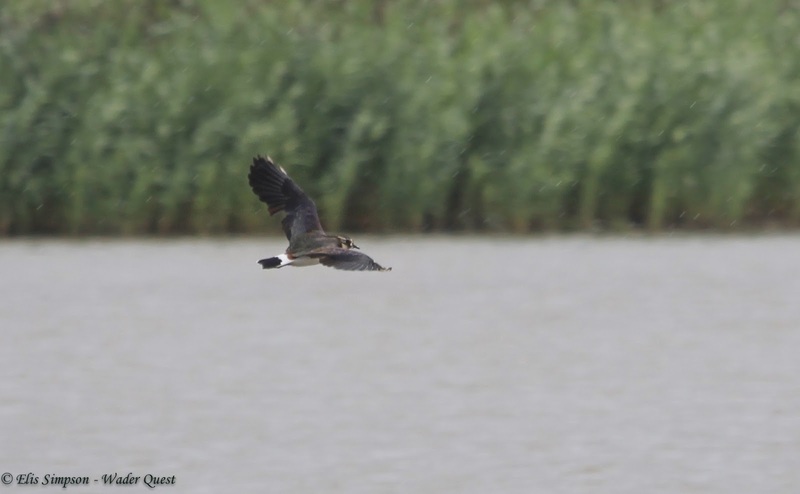 The first we saw was Common Ringed Plover, a singleton at first and then as the tide rose more came onto the freshmarsh. 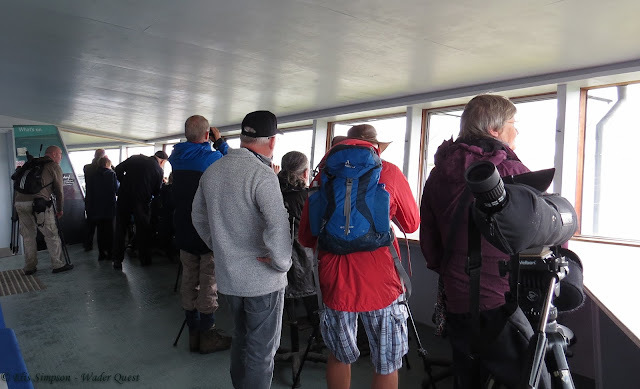 We didn't however see the Norwegian ringed bird that Allan Davies and Ruth Miller had seen the previous day. 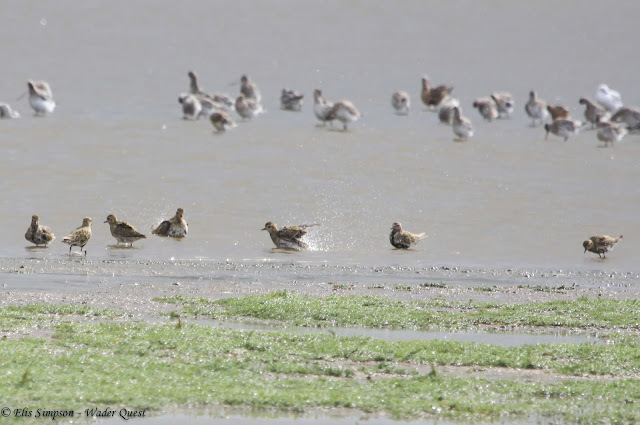 Then came the Eurasian Golden Plovers, not in 100s as we have seen before but 50 or so graced us with their presence, some still with the vestiges of breeding plumage on them. Eurasian Golden Plover drop in for a bath. 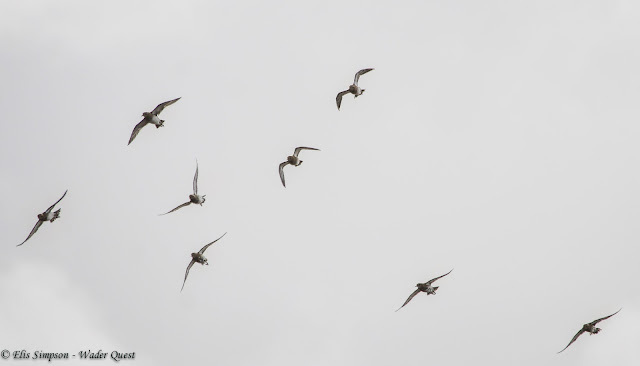 Lapwings too flew in and out most of the day, a deceit (I still hate that disrespectful collective noun for the fine and noble Lapwing) of around 100 was the biggest we saw. To see Grey Plover though meant a short walk across the space between the two hides to the saltmarsh. 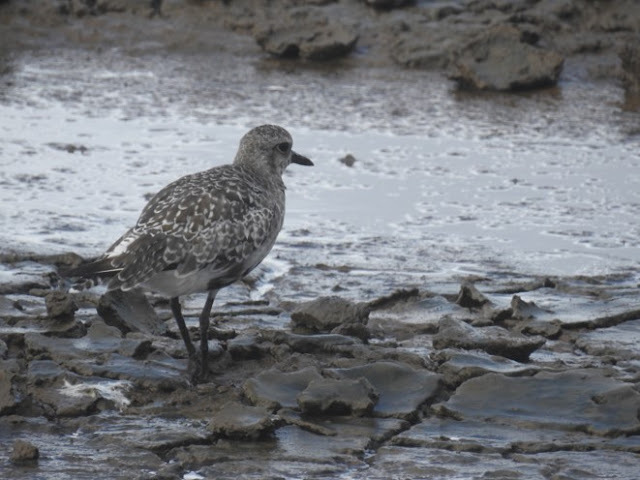 Here there were some Grey Plovers in winter guise and others in breeding plumage still. Along with the Grey Plovers were several Eurasian Curlews, always a lovely sight to see especially as they are now in such trouble on a population scale. 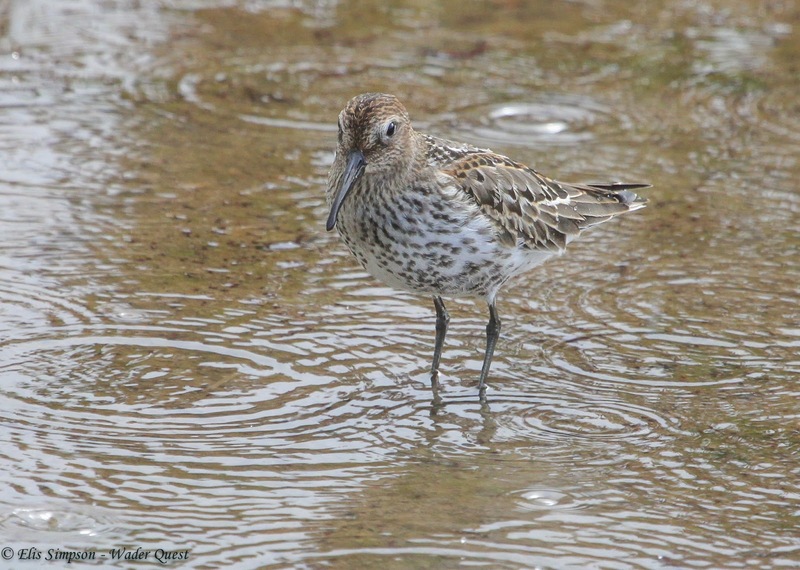 Closely related to the Curlews are the Godwits. Both the Black-tailed and Bar-tailed were represented with the Bar-tailed coming in to roost from the beach as the tide rose. 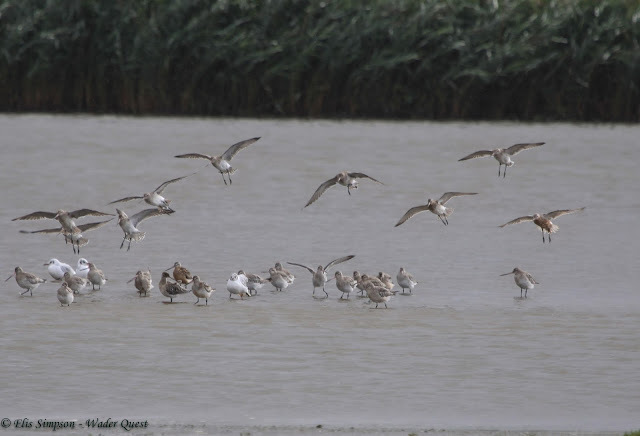 Bar-tailed Godwits and Black-headed Gulls. One amusing, but sad sight was an Eurasian Oystercatcher hoisted on its own petard with a mussel that it had pierced getting its own back by becoming lodged at the tip of the Oystercatcher's bill. 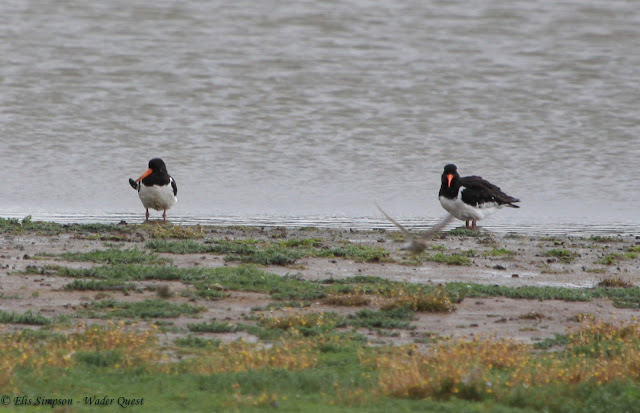 If it is unable to dislodge it, the Oystercatcher will be unable feed and will starve as a result. It would often shake its head as though trying to rid itself of the encumbrance, but we did not see it trying to push the mollusc off with its foot. and nor did we see it leave. Other waders that cheered up our day were Common Redshank, Spotted Redshank (heard only) Common Greenshank (heard only), Common Snipe, Ruddy Turnstone and the splendid Pied Avocets. All in all a very enjoyable and relaxing day with plenty of people looking for the waders and of course the plovers. Many thanks to Allan Archer (talkwildlife.net), Wader Quest Trustee for his help in volunteering for the day and of course a big thank you to Carrie Carey and the staff at RSPB Titchwell Marsh for hosting this event and kindly giving us access to the Parrinder hide.